Mummy Of 3 Diaries: Beat those January Blues. #Win a Cadbury Valentine's Treasure Box! Beat those January Blues. #Win a Cadbury Valentine's Treasure Box! Win a Cadbury Valentine's Treasure Box. January is not my favourite month of the year. It's cold, dull and oh so boring. So let's fast forward a few weeks and think about February which isn't actually that far away. Seeing as Valentines Day is just one month away today, I thought I'd try to brighten up your day with a little giveaway. If you're on a New Years Diet, then sadly this may not be for you but if you're like me and don't really care for all that diet stuff then - waahoo! 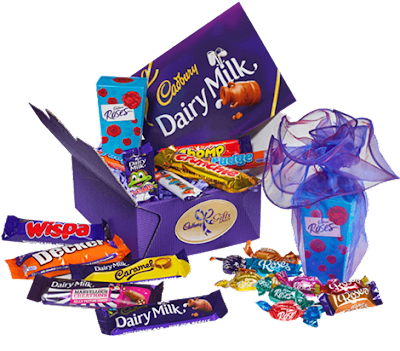 The prize is a Cadburys Valentine's Treasure Box which contains to mini boxes of Roses and a whole host of your favourite Cadburys Bars complete in a lovely gift box. If you would like to win this lovely box of treats you can do so by using the RaffleCopter Form below. They'll make a nice gift for yourself or maybe the perfect gift for a loved one. Terms and Conditions: One winner will be drawn at random on Sunday February 6th. Open to the UK only. Winner will be contacted by email after the draw - Good Luck. We are heading out for a meal to our local fayre & square. Keep it simple. I don't have any plans! I don't have any plans as if yet but I am hoping for a surprise. I don't have any plans as of yet but I am hoping for a surprise. Regrettably i am working, but the day before i have my grandson's first birthday party. My hubby always takes me out for dinner. The restaurant is always a surprise. As he is 'last minute.com' he certainly won't have selected it yet! After previous Valentines disasters (he tries SO hard but it always goes wrong...) this year we're just going for a meal. At least that's what he's told me, he's the master of disastrous surprises! David Williams - as I'm single, probably a nice walk with the dog - more friendly, reliable and loyal than a woman anyway! We usually have a candlelight dinner at home cooked by my hubby. We don't usually do anything special on Valentine's Day. just a nice meal in the house! Take away and a movie, it's our Valentine's tradition. I've promised the missus that I@M cooking dinner! Hopefully the kids will go to bed early and we can enjoy a meal together. I don't have any plans yet, probably as it falls on Sunday I will cook a nice meal and buy my husband a card. Me and the boyfriend will be doing our traditional ritual! The boyfriend cooks spaghetti bolognese, we watch Lady & The Tramp and then play retro videogames! maybe we could have a quick drink in the pub and a takeaway- that would be a treat to not have to cook and no kids (love them loads but ) for one evening !!! cheap date ???? Its my cousins birthday 14th Feb, and he's 30 this year so i'll be going to a big family meal! But my hubby will be coming too so we'll get to have a nice meal together on Valentines Day! We only exchange cards. But our anniversary is on 19th Feb and we go out for a meal. First time I've thought about it, I can't stand and cook, so maybe takeout and a dvd. No plans whatsoever! It's a Sunday so it'll probably be washing and cleaning ready for Monday back at school/work! No plans as yet,we'll probably stay in. Honestly? I haven't a clue really. It will most probably include watching a film - You can't beat a good one. Curry & a bottle of wine once the kids are asleep! its my boyfriends birthday on valentines day so we'll have a little party for him! Tea and cake in the staff room as we are working nights. Nothing that I know about - my husband won't plan anything! Day and night at the coast with a lovely romantic meal....and im soo excited! Heading to Poland with my boyfriend! My husband is on a stag do, so I will be all on my lonesome! A nice meal in together and swap presents. It's my mum's 50th birthday so we are spending it as a family, no romance! Ah chocolate; always good to brighten the mood. Especially with a cold and certainly wet Jan. Still; just few more days till Feb. I'm seeing lots of freebies this month out there. I will take my girlfriend out somewhere for dinner! Just a quiet one at home I think. A meal out with hubby if we can get a babysitter! We don't have any plans yet but will probably have a nice meal at home. We tend to have a quiet night in, and go out for a meal a week or so later when the restaurants aren't so busy. Twin daughters are away with the school, eldest can look after herself, therefore we may go for meal or cinema. No plans for me other than sit in and munch on chocolate! Nothing planned so either movie night or going to a gig! I'll probably cook a nice meal and then we'll watch a film! As I am expecting a baby on 10th Feb our plans are a little up in the air! If our little one has not made an appearance we will have a nice meal in, enjoying it being the two of us for one last time! I will enjoy a lovely meal out with my husband and family. its my 8 year olds birthday! Probably takeaway and a movie with my husband. We'll do cards but we don't really do presents on valentine's day. Pizza and a bottle of wine indoors with the girlfriend. Not sure I have any - but maybe a little surprise in store ???? Evening in with a takeaway, child tucked up safely in bed out of the way! If I win i will be eating a lot of chocolate. We dont have any this year as far as im aware. Single again so no plans! The Arsenal match is on, so probably watching that(!) then going for dinner! I plan on going for a long walk along the canal in Bath then have a lovely dinner together. He deserves some R&R and it's nice to relax together. Celebrating my son's 21st birthday. As long as we are together it doesn't really matter what we are doing. same as always steak and chips and a cheesey movie love it! We'll be having a homecooked three course meal...and watching a film while all snuggled up on the sofa! We're going to a spa! I was wondering about this the other day...is Valentine's Day a big game of 'Chicken'? ie. is it a case of who blinks first ;) I was thinking of booking a table at a fancy restaurant but if I do and then find out my other half had the same idea - who gets to lose their deposit? its my father in laws 60th birthday the day before so lots of family are down so spending time with them, we are celebrating on 10th with a visit to see deadpool at the cinema so excited. No plans, but hopefully we'll go out for a meal somewhere, probably with kids in tow! my baby is due the day after valentine's so a relaxing night in! Just staying in watching a film with our favourite take-away. For valentines day I am going to cook my OH one of my famous chicken pasta bakes! cosy night in with hubby, M&S meal deal and a film ! I'm taking my wife to the ball. Steak supper, bottle of wine and a snuggle on the sofa.